Have you ever wondered how we choose the fragrances that go into our catalog? 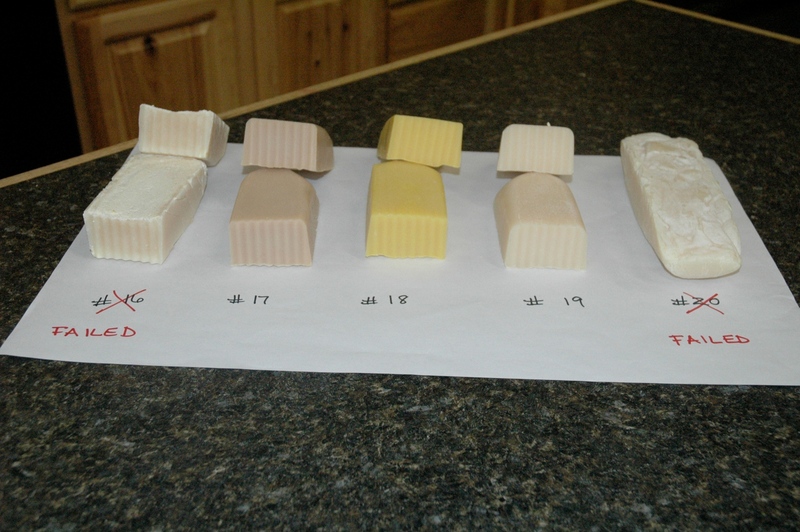 There are several tests each prospective fragrance goes through to be possibly added to the catalog. 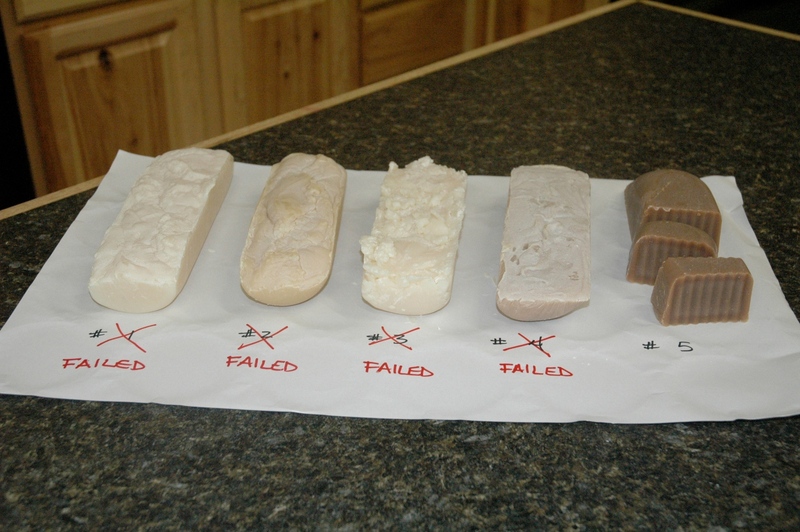 The cold process soap test is the hardest test and one that most fragrances fail for one reason or another. A fragrance could seize a batch, fade quickly after curing, or alter and not smell appealing anymore. 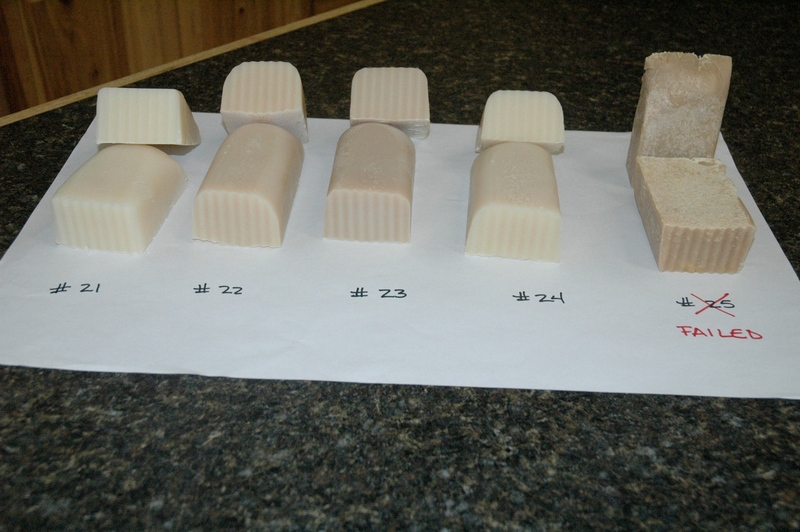 We start with a basic soap recipe that we keep the same for the testing purposes. Each batch has 1 pound of fats. We usually make between 8 and 16 batches in a testing session. 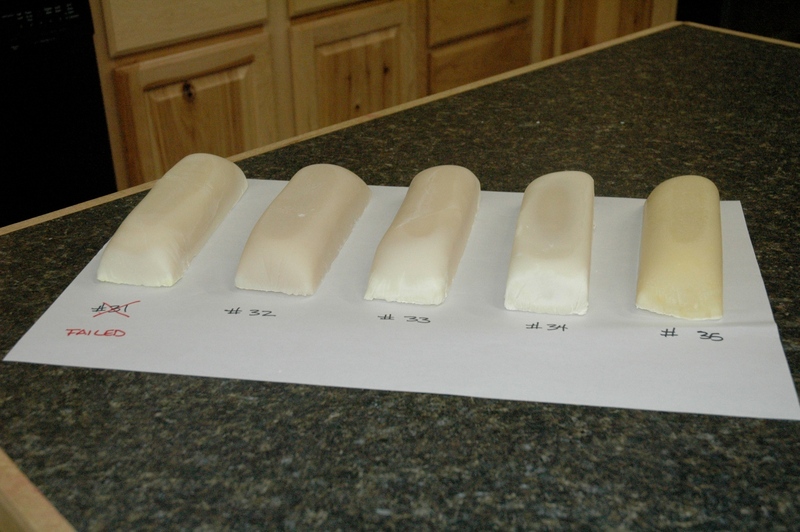 We start with a basic soap recipe that we keep the same for the testing purposes. 4 oz Coconut Oil or Palm Kernel Oil. We use either one of these oils since they have similar saponification values. We will just use what we have available in the lab at the time. We test under extreme risks and follow our noses to the end. Extreme risks include high temperatures, speed of mixing, length of mixing time and more. 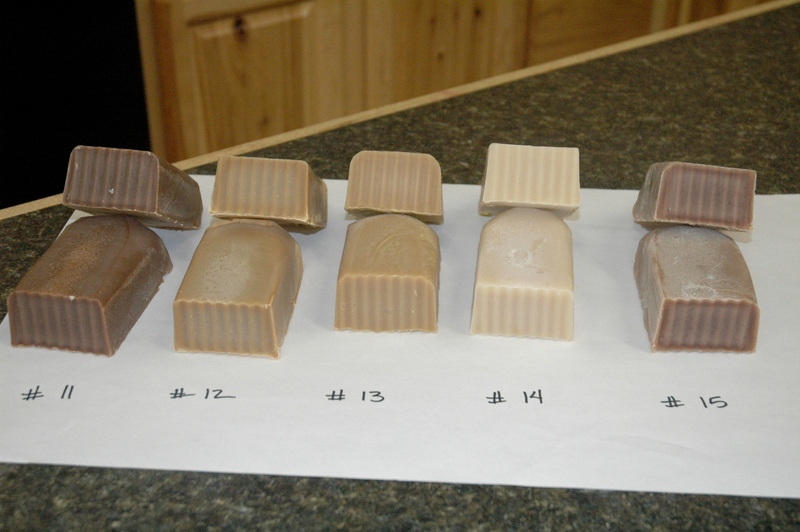 As you can see from these photos, some soaps look great, others look bad. Several failed, and some with no obvious reasons. 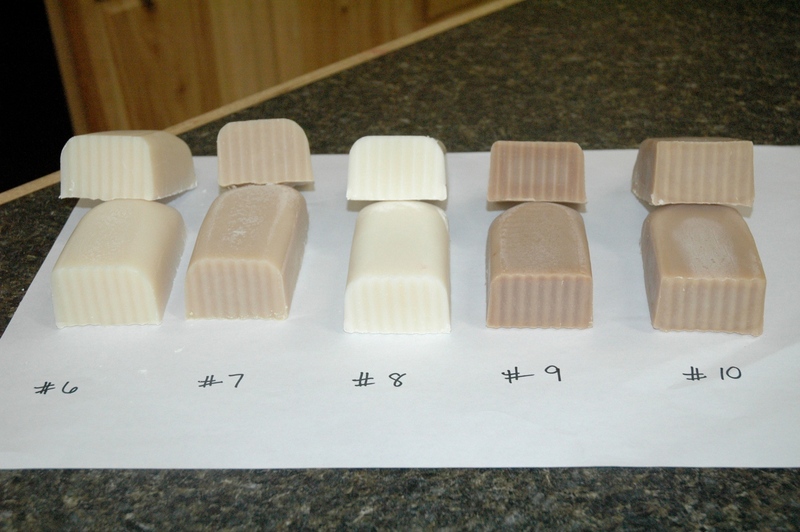 12 soaps of the 35 here failed and that equals a failure rate of 34%. 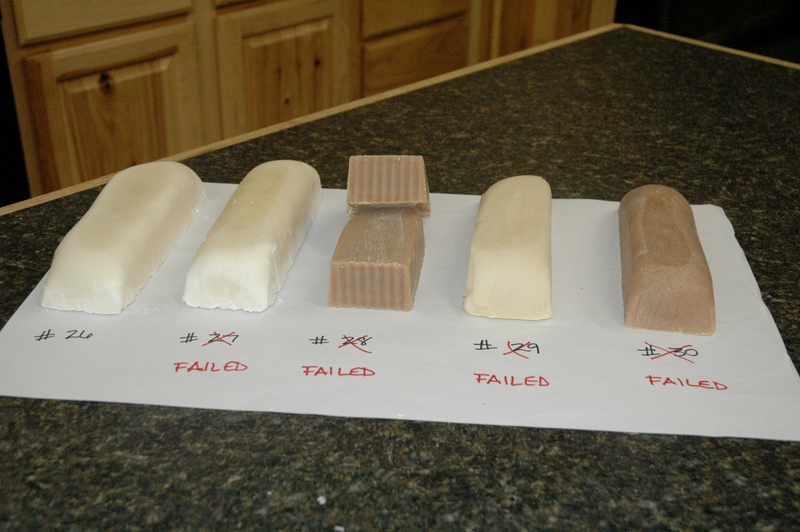 Some of the failed fragrances we reformulate and retest, but some don’t move us enough to reformulate. I just got a sample in an order today! It smells wonderful and I was very surprised! Thank you! !